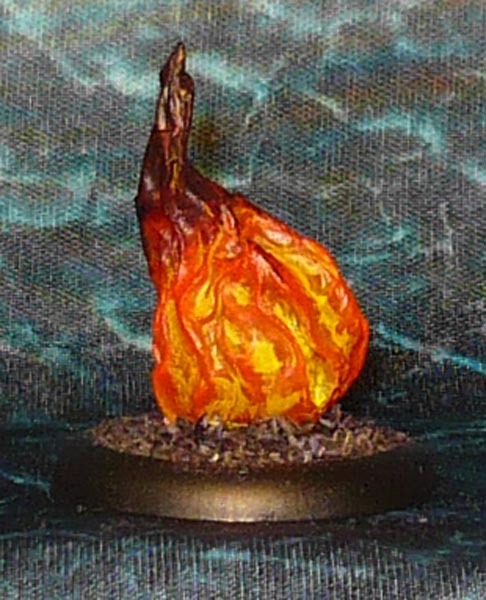 Next up is the orange translucent Bones Burning Sphere. Not all that much to say about this one. The trick to paint translucent bones is to undercoat them with matt varnish so the plastic will accept paints and inks. I use Army Painter Anti-Shine spray for this. I have heard that several brands of spray paint might cause some sort of reaction in the plastic, making them tacky or even flaking off. I personally have not experienced this, but I have experienced my usual miniatures paint (citadel, army painter, vallejo, reaper, etc) being rejected by the bare plastic. I find that the Army Painter sprays work well on Bones in general. Apart from that I use Vallejo Acrylic Surface Primers -black and light grey- in my airbrush to undercoat most minis incluiding Bones. Works a charm. I make sure to wash said minis first in warm dishwash detergent-soapy water and an old tootbrush first to get rid of any remaining release compound from the casting process, and make sure thay are dry before priming. 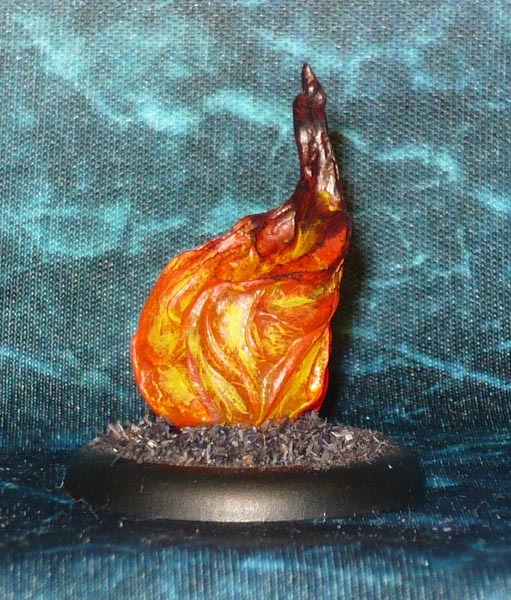 PreviousMinivember: Heresy Hellmites -It Came From Your Bedsheets!